Perfect for one hand use. A robust 5 MP camera. Alcatel OneTouch Pop Star 2 A521L is a 4-inch device running Android 4.4 KitKat with 5MP camera and 1.2GHz quad-core CPU. This affordable phone sports a large removable battery, amongst other great features. It's offered with Straight Talk or NET10 Wireless plans which are very affordable monthly no-contract plans for calling minutes, texts and data. We discuss the plan packages later in this review. I got the Alcatel OneTouch Pop Star 2 A521L device from Straight Talk, and I have been using it for a while, so far I have had a good experience as I will write about in this review. This is a prepaid smartphone which you can order directly from Straight Talk or NET10 Wireless at attractive prices. So when I opened the box, it contained two other boxes. One box had the device; the other had accessories like a standard USB cable, a pair of earphones, a wall adapter. Other items in the box included manuals and straight talk instructions. 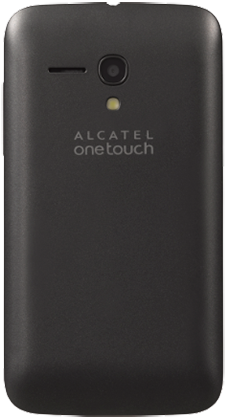 The Alcatel OneTouch Pop Star 2 A521L has a removable battery which is not installed in the phone at the time of purchase. A Straight Talk activation card is also included in the box. 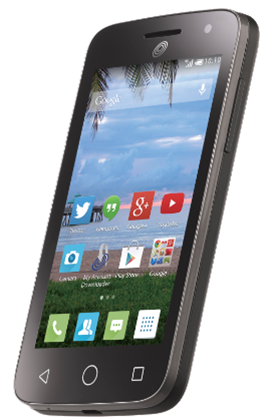 The Alcatel OneTouch Pop Star 2 A521L is a 4-inch device with an entirely compact design. If you love operating a phone with one hand, this is a phone you will enjoy using. Coming to the right side of the gadget, you have your volume buttons. To the front, we the have a 4-inch capacitive screen. At the bottom of the display, we have the cryptic navigation buttons that mimic the appearance of navigation buttons on Android 5.0 Lollipop version. Keep in mind this is an Android 4.4 KitKat device. At the top of the screen is your front camera. Coming to the back, we have a 5 MP camera with a LED flash just below it. The phone's speaker is also on the back just opposite the speaker. Looking at the bottom side of the device, you will find a micro USB port which functions as your charging port and also where you can insert a USB cable to transfer files to a computer. A microphone is also at the bottom just opposite the micro USB port. At the top side, we have the headphone jack, a noise cancellation mic, and the power button. The back cover is removable. You can take it off to reveal the battery, a SIM slot, and a microSD slot. One thing to note is the phone cover is made of plastic and is a very light gadget. Alcatel OneTouch Pop Star 2 A521L comes with a 5MP back camera, and a 0.3MP front camera. The camera is pretty good for an entry-level device. It takes quite amazing photos also. There's a LED flash for the back camera that helps when taking pictures in low light conditions. I was quite impressed by some of the features on the camera as well. Such features include the ability to test and preview 9 different filters before taking a picture, and also taking panoramic shots. The front camera comes in handy when you want to take selfies. The display is a 4-inch TFT capacitive screen. The video quality is quite okay when viewed directly and not from angles - like when you twist your phone slightly. I had no issue browsing through my gallery of photos. It comes with an Internal Storage of 4GB. An external microSD card slot is available which you can use to upgrade the storage capacity up to 32GB with a memory card. Alcatel OneTouch Pop Star 2 A521L comes with a 2000mAh removable battery. That's a significant capacity for this phone, and it can stay over a day. The battery life really impressed me. It has a talk time of 15 hours. When doing routine operations like texting, listening to music, replying to emails, and making a few calls, it could stay over a day and still have some 20% of battery life left. Out of the box, Alcatel OneTouch Pop Star 2 A521L comes with Android 4.4 KitKat. For the time I have had the device, performance has been okay. It has a powerful Qualcomm Snapdragon Quad-core processor running at 1.2GHz paired with 1GB of RAM. These are impressive specs for an entry-level gadget. Given that it's a 4G LTE phone, browsing is great on this device. I enjoyed fast loading of YouTube videos and other content on the Internet. The whole experience was good. The phone comes with most applications installed, such as music player, browsers, messages, Google Play Store app, contacts, notes, photos, Gmail app, Google maps, amongst others. You can still install more from Google Play Store using the Google Play Store app. It has Bluetooth 4.1 for fast sharing of files between devices. It has Wi-Fi and also can create a hotspot to share your phone internet with others. It also has GPS for locating places and navigation on Google Maps. Talk time up to 15 hours, Standby up to six days. Internal Memory 4GB, external microSD card of up to 32 GB.